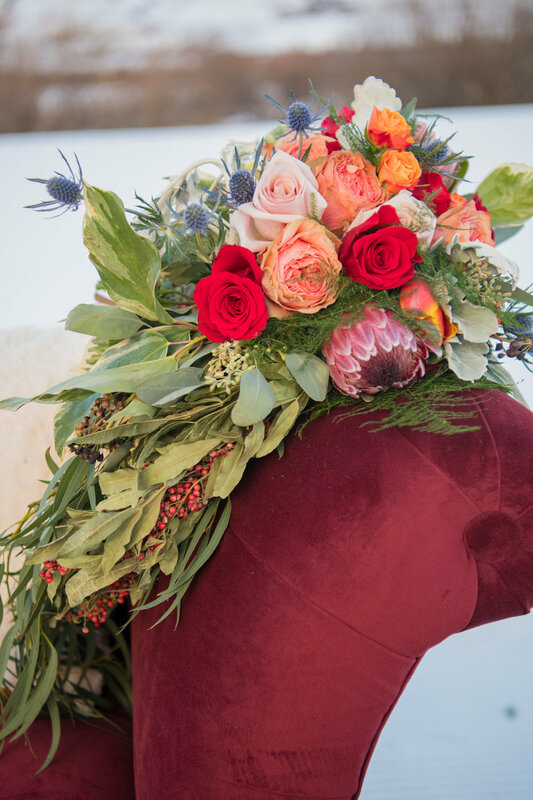 We had the pleasure of collaborating with an amazing photographer, florist and event planner last month for this styled shoot here in Crested Butte. If you're deciding whether or not to say "I Do" amongst our beautiful mountains, these photos from Michael Morse Photography (www.mikemorsephotography.com) might help make up your mind! Between us here at SAGE, flowers from FIN + ALLY (finallyco.com) and the lovely Ciera with Lucky Penny Events (luckypenny.events) your wedding planning will be a breeze! These styled shoots allow us to showcase some of our most popular items! For this we used the "August" Distressed Natural Bench, Vintage Yellow & Green Goblets, Crystal Stemware, Brass Candlesticks, Wood Flower Box, Round Geo Vintage Rug, "Red Lady" Settee, "Avery" Chaise Lounge in Light Grey. If you are wondering where the gorgeous flower arrangements came from, look no further than FIN + ALLY (finallyco.com), our sister company!! We can personalize your event beyond the decor to give you the exact style you are going for. Love is in the (fresh mountain) air this Valentine's Day! This table for two will do! We loved setting up this sweetheart table in the snow today to get everyone thinking about Valentine's Day! 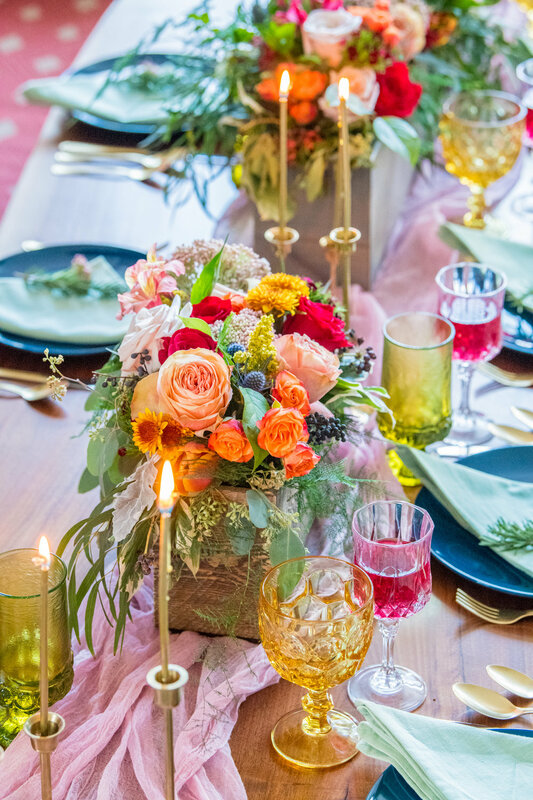 Included in this shoot is our Abstract Floral - Navy Rug, Farm Table Top, Rustic Ladder, Sigmund Wood Side Table, Crystal Goblet, Small Red Goblet, Silver Flatware, Amber Glass Salad Plate, Soft Pink Charger, Stripe - Red Napkin, Ceramic Tree Vase.